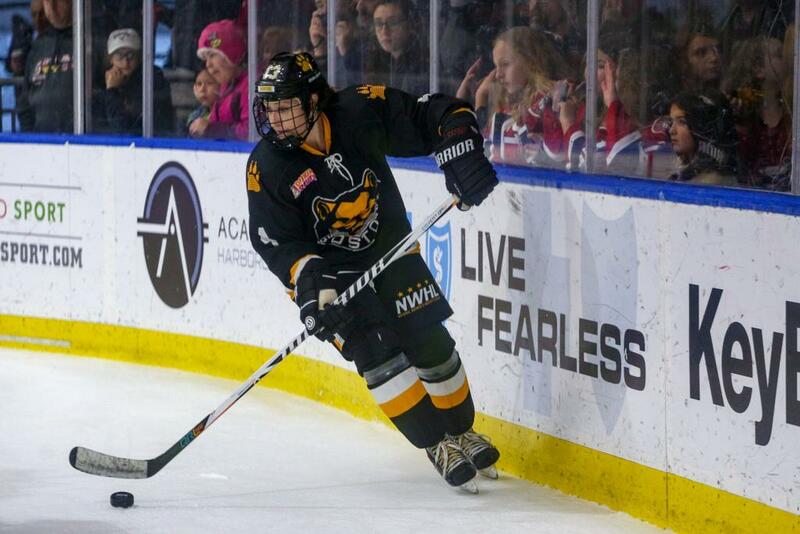 August 7, 2018– Original NWHLer Kaleigh Fratkin, the steady defender and respected leader out of Boston University, is back for her fourth season in the NWHL and her second with the Boston Pride. With an eye on winning her first Isobel Cup and continuing to shine an even brighter light on women’s hockey, the native of Burnaby, British Columbia has signed with the Pride for the 2018-19 season. While playing for the Pride, Fratkin will be in her first season as assistant coach of the Nichols College women’s hockey program. After playing one season in the CWHL – winning the Clarkson Cup with the Boston Blades – the 5-8 defender played the NWHL’s first season with the Connecticut Whale and the 2016-17 season with the Riveters. She returned to her college town last season, joining the Pride and getting 5 assists in 11 games. Over 47 career games in the NWHL, Fratkin has 6 goals and 22 assists for 28 points. Fratkin played at Boston University from 2010–2014 and graduated tied for the program lead in games played, with 151. For her college career, she was 9-57-66. As a senior, she had 4 goals and 26 assists and was named a Hockey East First Team All-Star, and later named to the Hockey East All-Tournament Team. A member of Team Canada’s development program for seven years, Fratkin won a gold medal with Team Canada in the 2015 Nations Cup and silver at the IIHF U18 World Championships. Among the many stops in her successful and rewarding hockey journey, Fratkin spent the 2015-16 season with the New York Islanders as an analytics intern.